Simple no onion garlic preparation of chole that I often like to make on festival days so that it can be served even in Bhog thali. 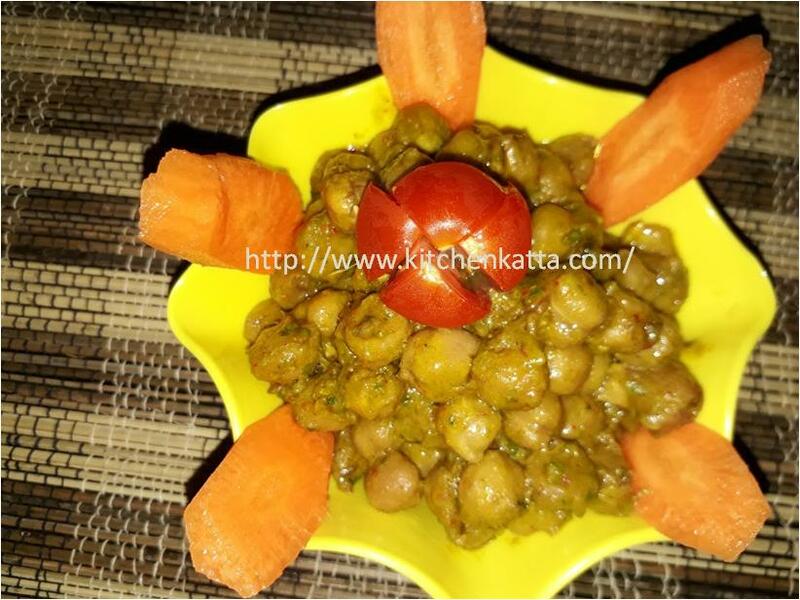 You can try this simple main course dish even otherwise also and be assured it will satisfy your taste buds. 1. Add water to chole and Pressure cook chole for 3 whistles. Also add the tea bag while cooking and very less salt. 5. Sprinkle besan over chole mix. Cover and cook for 2-3 mins.